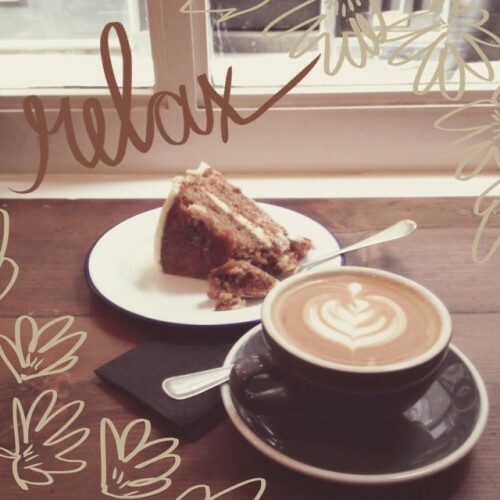 I’ve been a fan of the lifestyle blog A Beautiful Mess for sometime now. Sisters Elsie and Emma “believe in taking time each day to make something pretty” and I take time each day to stop by the blog to see what they are up to. 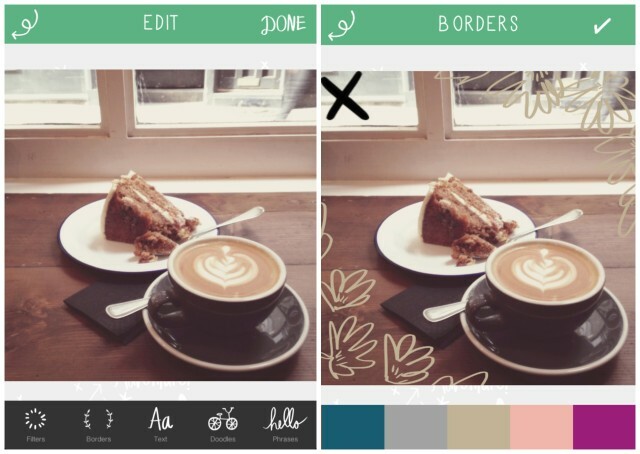 As a fan of the photography style on the blog I was really excited to see that they were launching a photo editing app. I enjoy adding text to my photographs and until now have been a fan of Over, which Kirstin introduced us to a few months ago. The Beautiful Mess app takes that concept further by providing, in addition to text fonts, a variety of hand-drawn borders, phrases and doodles that you can use to add personality to your iPhone photographs. 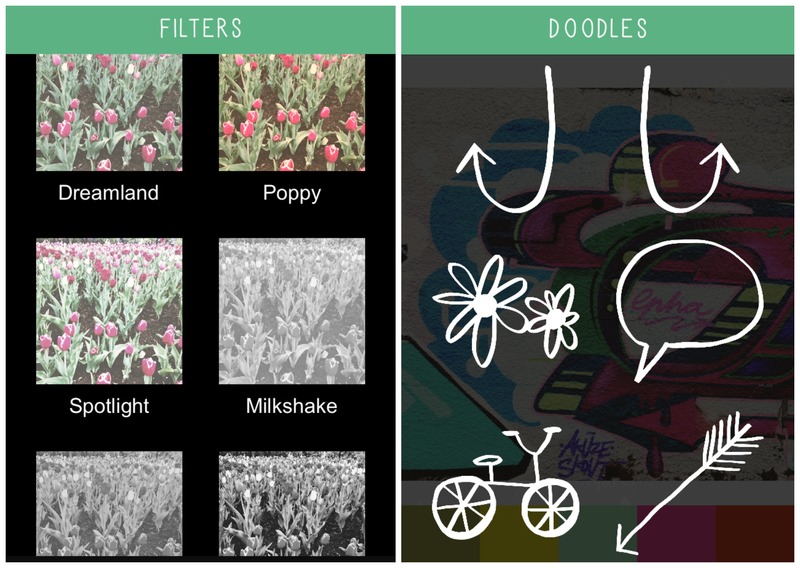 The app also offers a few filters. They are quite good, providing some basic colour and black and white options. Where this app really shines, however, is in the add-ons. For my part, I tend to do my general editing in another of my go-to apps and then import the edited photo into the Beautiful Mess app to add on some fun touches. Starting with a cafe photo I edited in PicTapGo earlier, I imported it into Beautiful Mess and decided to add corner borders. 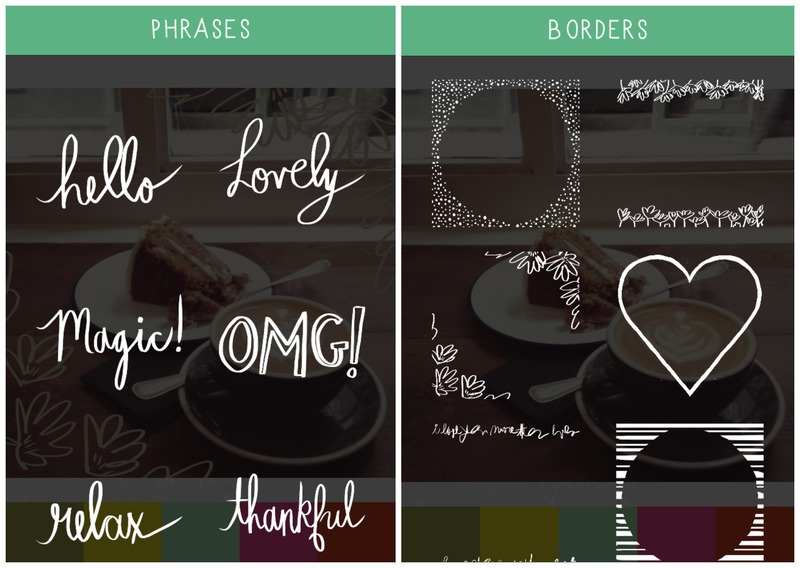 I like how the app offers a variety of colours for your borders and text. When adding text you have the choice of a few words and phrases that come ready-made in the app – like “relax” – or you can type in your own text using a variety of fonts provided. 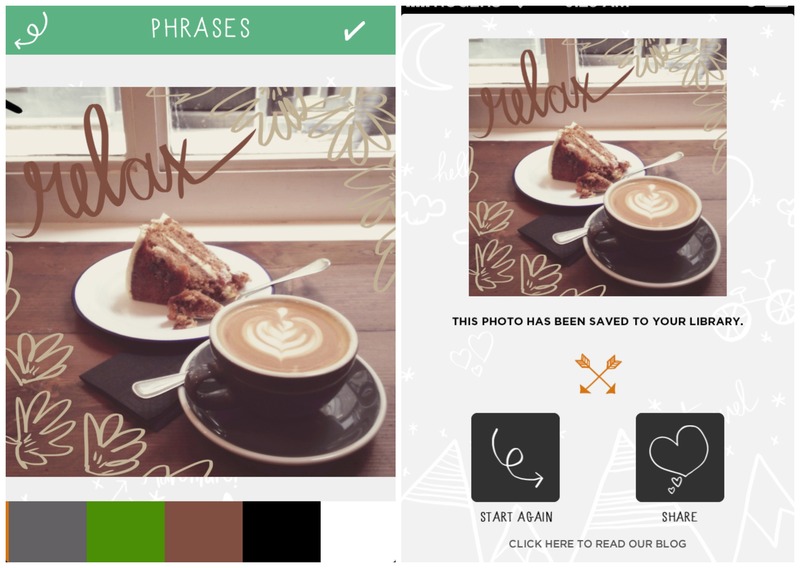 When you’re done editing, the app automatically saves your creation to your photo stream and then gives you options to share via Instagram, Facebook, Twitter or e-mail. I’m really enjoying playing with this app. I like that it comes with a lot of choices for borders, fonts, etc. within the initial $0.99 app purchase and that it offers the opportunity to purchase additional packs in-app for $0.99 each. I also like that you can easily scale, move and change the angle of the text or doodles, allowing a lot of flexibility in creating the image exactly as you’d like it. In talking to my fellow muses about the app, one of the things we’d all like to see is an “undo” button. According to the blog, they are working on that, and they hope to be able to provide it in an update soon. Also, for our Android friends and muses, they are working on an Android version now and hope to have it out before the end of the summer. They are also working on more features, both for the initial purchase version and as in-app purchase packs. 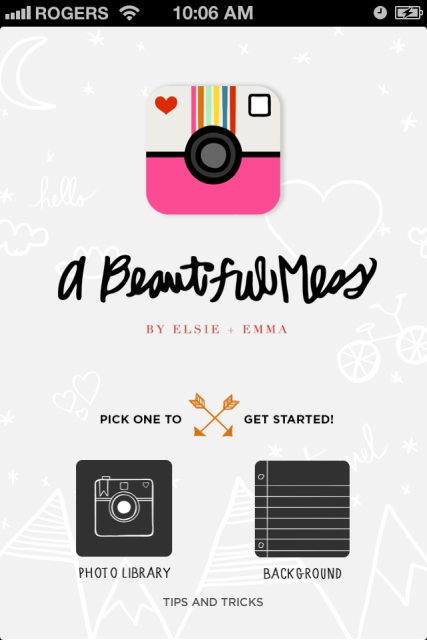 I’m not the only one who has been enjoying the Beautiful Mess app. I love how Vanessa has been using it. 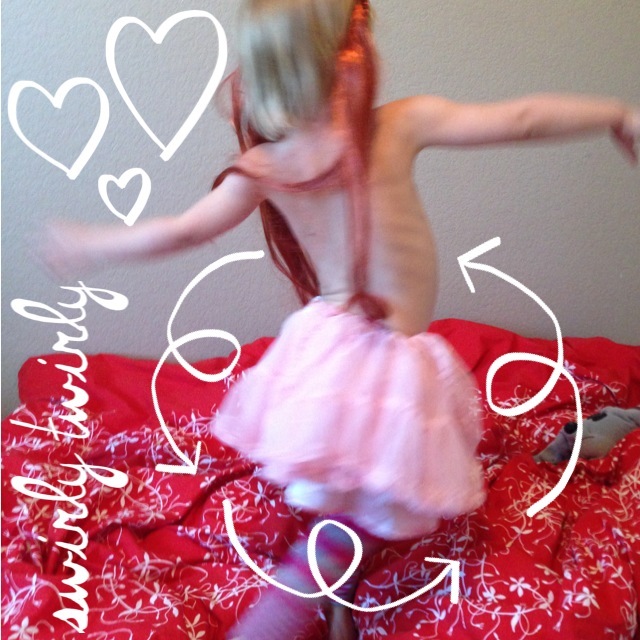 The photos below show how the app can be used on both fun and sophisticated ways. 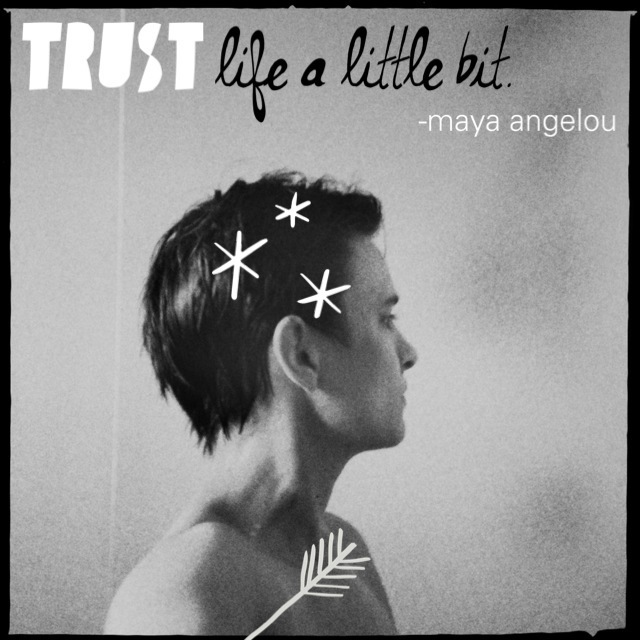 Have you been having fun with the Beautiful Mess app as well? 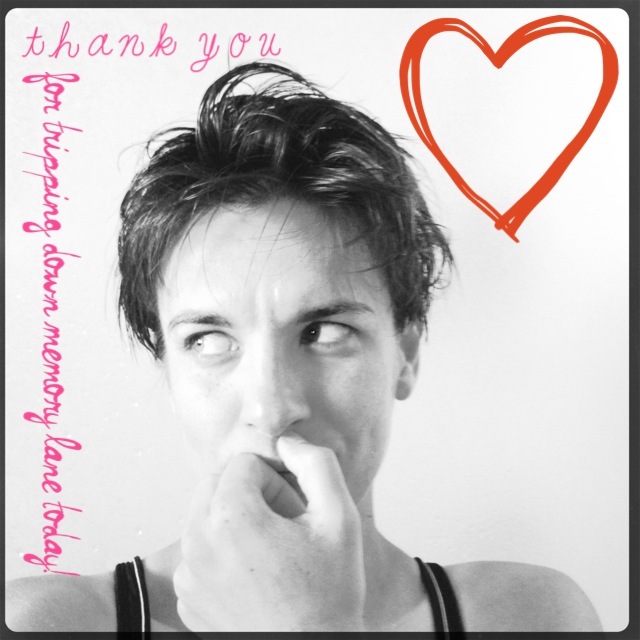 Let us know about your experience in the comments and don’t forget to add your photos to the Mobile Monday Flickr pool and use the #mortalmuses hashtag on Instagram. I can’t wait for a few minutes to browse the pool and see what everyone else is doing with this app. I was wondering what this new app was all about. I have to stick around just to kepp i th eknow now! 😀 Love that blog too, totally fun! I haven’t played with this yet, but I’ve been watching tons of people on IG love it up. Thanks for the review so I know the story behind it! I’ve loved playing with this app, Debra. Thanks for the encouragement to go and play with it some more! this app looks so fun! thanks for sharing with us. This looks like a fun app that I need to try soon! Thanks for the review, Debra. This looks like so much fun!! I really do hope they’re able to publish the Android version as quickly as they say – usually the Android versions take ever so long, sadly.